An early maturing specialty onion suited to northern growing areas. 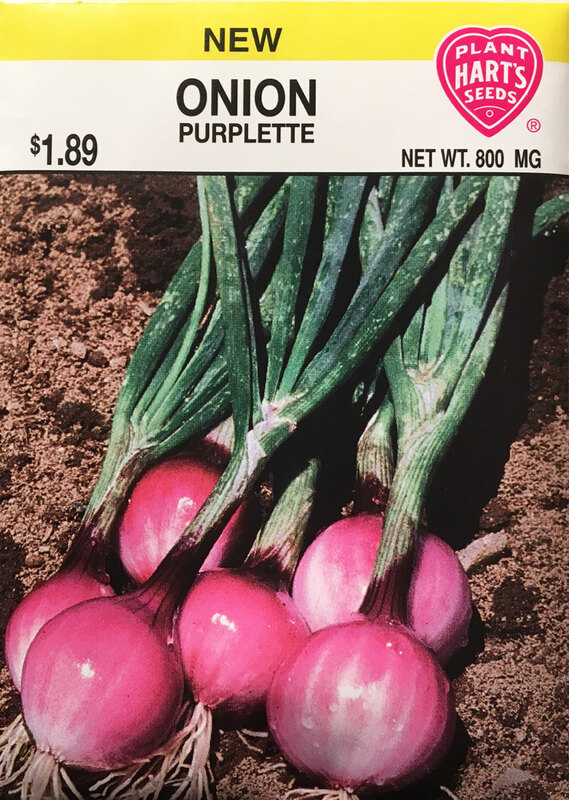 Can be grown as a purple pearl bunching type when young, burgundy colored mini cipollini type later in the season, or allowed to fully mature to a small - medium size bulb where seasons are long. Rich purple-red bulbs turn pastel pink when cooked or pickled. Seed spacing - for bunching type - plant 1 inch apart. For bulbing type, plant seed 2-4 inches apart. Thinning - no need to thin if bunching. Thin to 4 inches apart if growing to the bulb stage. Try not to disturb surrounding plants when thinning.